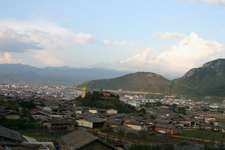 At Yunnan Mountain Handicraft Center, we are concerned about the problems that often partner growth in tourism, economic development, and changes in lifestyle of local residents. This mountainous corner of China contains a wealth of biodiversity, magnificent landscape and unique mixture of ethnic groups. Partnering with local Diqing government officials, YMHF co-sponsored an important workshop to brainstorm issues surrounding the creation of a national park or park system. The workshop was planned and organized by Vice Governor Shi Zhong Kai of Diqing Prefecture and Gerard Burgermeister, representing YMHF, resident of Xixuanbanna. Gerard is an expert in environment and the impact of tourism development. This ground breaking workshop was held in Shangri-La, 15-18 January 2005. The Shangri-La Tourism and National Park Workshop brought together a small group of experts and officials from Diqing, Kunming and Beijing and foreign advisors in park planning and tourism. Included were representatives of the Diqing Economic Planning Commission, Diqing Tourism Bureau, Diqing Forestry Department, Professors and Directors from SWFU, Kunming and Tsinghua University in Beijing, The Nature Conservancy, WWF and eco-tourism investors from abroad. The objective of the workshop was to provide information useful in planning strategy for future sustainable tourism growth in the region. The hope is to create a national park mechanism in this region which would include the protected nature reserves, small villages, and public sites developed for the expected growth in tourist visits. 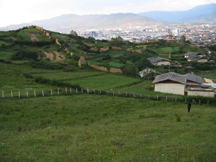 Balanced development will bring jobs to Diqing, protect the bio-diversity, protect the traditional lifestyle of the Tibetan people and other minorities living there, protect some of the pristine wilderness areas, and allow for sustainable, sensible development of tourism as the lead industry in Diqing. YMHF was pleased to help facilitate the workshop. For more detailed information read the “workshop” section of this page.